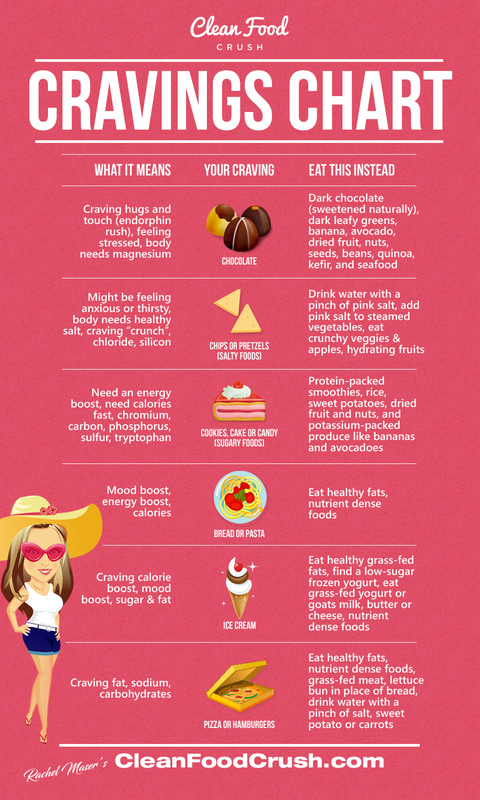 Decode Your Cravings with the Clean Eating Cheat Sheet! Cravings are your body speaking to you and telling you what it needs, or what nutrients you’re lacking. But one of the challenges in this is the reality that our food processing has gotten to the point of destruction. Our brains are wired for excess fat, salt and sugar and we crave what we “think” will help us survive. On a primal level, the brain is simply seeking calories, and our eating habits will dictate what we crave. The cool thing is when we make a switch to a Clean Eating lifestyle, we can slowly rewire our cravings until eventually we really only crave food that is healthy and nutritious for us! Without doing the necessary work to rewire, you’re stuck on what feels like a hamster wheel – making attempts to eat better and giving in to cravings. Good news: you can create long-lasting, positive change by Eating Clean! For example, one woman named Karen who took our 30 Day Clean Eating Challenge lost 18 pounds AND beat her cravings by changing what she ate consistently for 30 days. Billie and her son took the challenge on together and lost weight and changed their whole lifestyle. 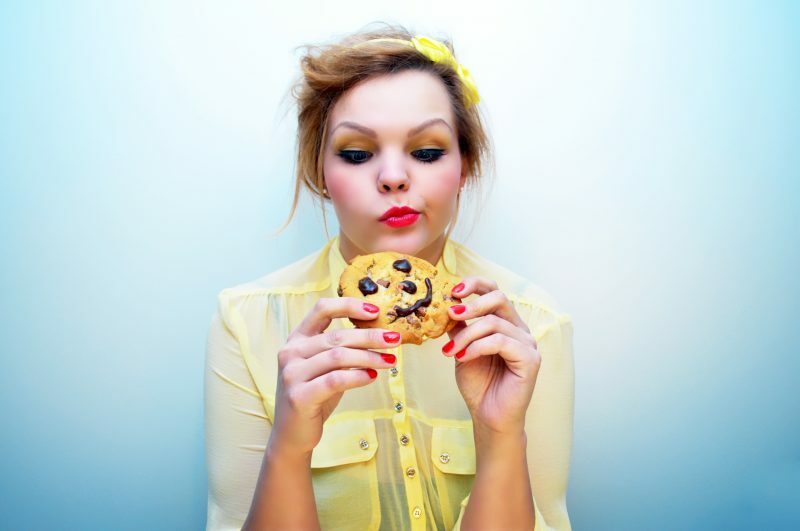 First, it’s important to understand that there are different categories of cravings. For example, there is the kind of craving where your body is looking for something to feel better in order to manage stress. When your body eats certain types of foods (especially foods that have a combination of fat and sugar, or fat and salt) your brain releases endorphins. Endorphins help to minimize feelings of pain and/or stress. 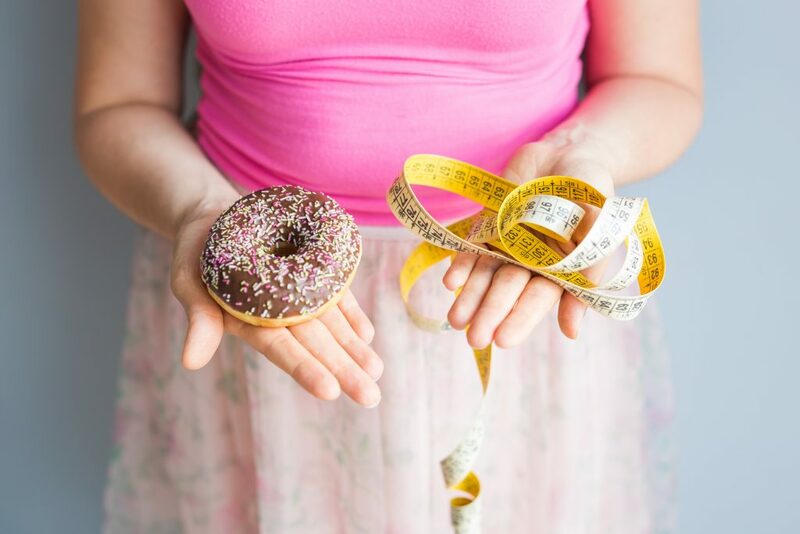 There is nothing wrong with this, but the problem comes in when you are relying too heavily on food to give you this feeling, and then it can become a food addiction. Just remember that other things besides food can help you produce endorphins as well, such as smiling, laughing, hugging and kissing, music, pets, reading and writing, singing and dancing, gardening, chatting with friends, working on creative projects, etc. Really, anything you enjoy that makes you feel happy and relaxed is releasing endorphins! Another type of craving is when your body needs a certain kind of vitamin, mineral or other nutrient in order to create balance within itself. This need for balance can be because there is depletion, or because your body is anticipating depletion, such as before or during your menstrual cycle. The body is incredibly wise. So let’s get busy decoding what your cravings mean! Chocolate: Besides the stress-relieving endorphin rush, you may be craving chocolate because it is high in magnesium, and over fifty percent of people now are deficient in this. Magnesium is a macro-mineral, meaning your body needs high amounts of it. It regulates and relaxes the muscles, arteries and nervous system. If you experience a lot of anxiety, mood swings, sleep issues, muscle cramps/twitches, or migraines, then you may need more magnesium. Some things that deplete magnesium are stress, sugary foods and soda. Some awesome sources of magnesium are dark chocolate (sweetened naturally) rather than candy bars, dark leafy greens, banana, avocado, dried fruit, nuts, seeds, beans, quinoa, kefir, and seafood. Chips or Pretzels: If you are craving super salty and crunchy things like these, it’s likely one of two things: you’re angsty or you’re thirsty! In other words, you’re either wanting to release some built up tension and stress by chomping down on something crunchy (there’s that texture thing again), or your body is trying to make you feel thirstier so that you will drink water. It sounds strange, but sometimes when your body is dehydrated is will actually give you the urge to eat salty foods to make you thirsty enough that you’ll drink more water! If it’s the crunchy texture you need, don’t forget about things like nuts, apples or fresh veggies. But if you pause and realize you might in fact be dehydrated, drink pure water and fresh juice, and eat more hydrating foods like watermelon, grapes or tomatoes. 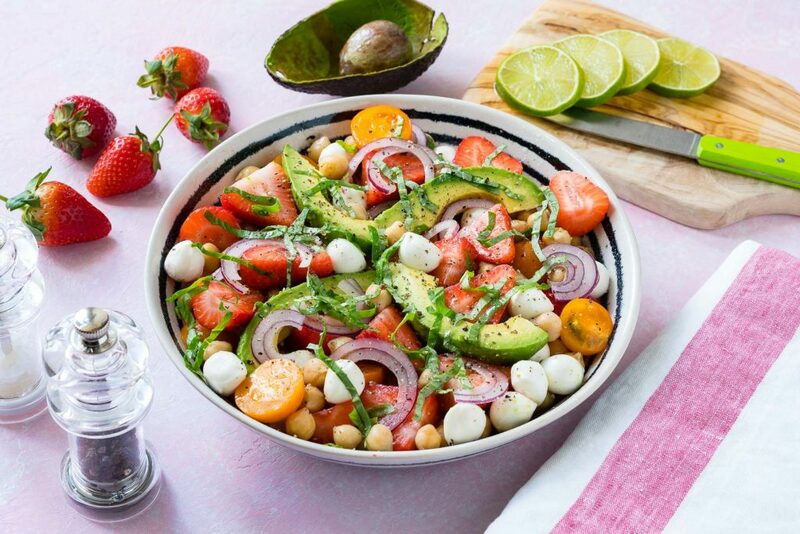 Try this Strawberry + Avocado Chickpea Caprese Salad – it’s hydrating, and packs a little bit of crunch! Cookies, Cake or Candy: If you’re craving sugary treats like this, you may be looking for the temporary mood/energy boost they give. A lot of people with sugar cravings or addictions don’t have consistently good energy. Having low energy often means a low mood as well, but sugar can feel like a quick fix for both. The problem is that when blood sugar levels spike (raise quickly) it is not a healthy thing, and is linked to things like premature aging and diabetes. When those levels drop back down it can create mood swings and perpetuate the cycle of low energy. Your body and brain need natural sugars such as glucose to sustain proper functioning and energy, but it’s better to get that from natural sources that provide more sustained energy. Some great foods for sustained energy are protein-packed smoothies, rice, sweet potatoes, dried fruit and nuts, and potassium-packed produce like bananas and avocados. And remember to eat consistently, and make sure you are getting enough water and restful sleep. 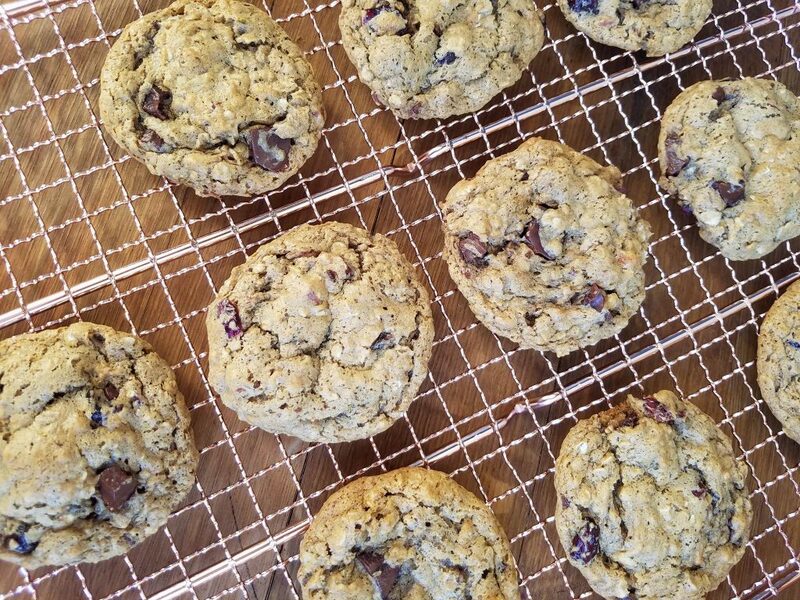 These things should help your energy, but you don’t have to give up yummy sweets and treats. Just make sure they are naturally sweetened (like with honey or maple syrup) and minimally processed! Here are some sweet alternatives! 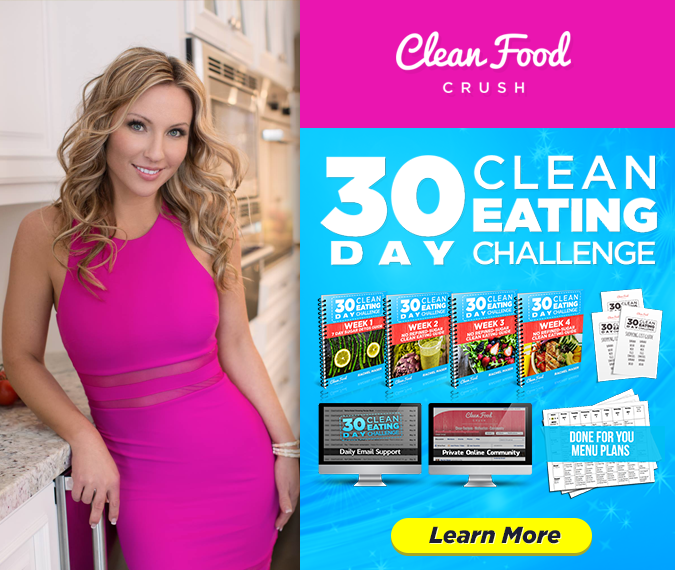 Try these Clean Eating Cranberry Almond Oat Cookies if you’re looking for guilt-free cookies, or if you think you might just need some energy from good nutrition, try this Strawberry Avocado Quinoa Salad. Bread or Pasta: Like sugary baked goods, a craving for pasta or bread could signal the urge for a boost in blood sugar/glucose levels to lift your mood or increase energy. Again, there are better food options for doing the same thing in a more healthy and sustained way, and there are great gluten-free alternatives to regular pasta as well, but consider reaching for a more nutrient dense option when a craving for bread or pasta kicks in or create your favorite pasta sauce with zoodles instead! 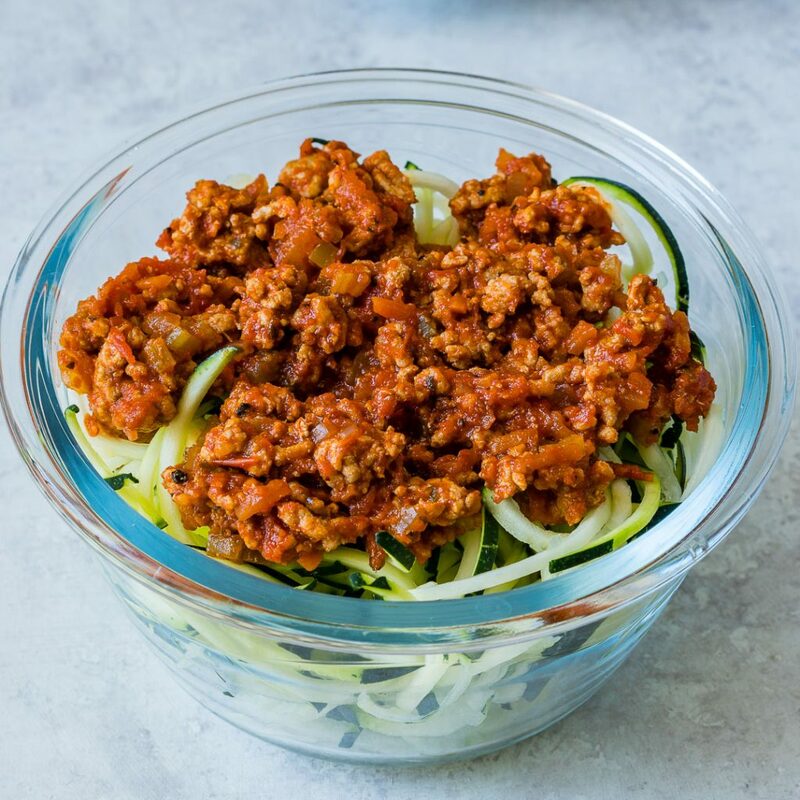 Try this Clean Eating Turkey + Zoodles recipe, it’s YUMMY! Ice Cream: Along with the temporary mood-boosting effects of the combination of fat and sugar found in ice cream, you may also find yourself craving it for it’s smooth, creamy texture. Studies show that the texture of creamy foods can have a soothing or calming affect on us, so things like yogurt or pudding can have a similar effect as ice cream. Luckily there are now many healthier options of these creamy foods available both at the store and for making at home. 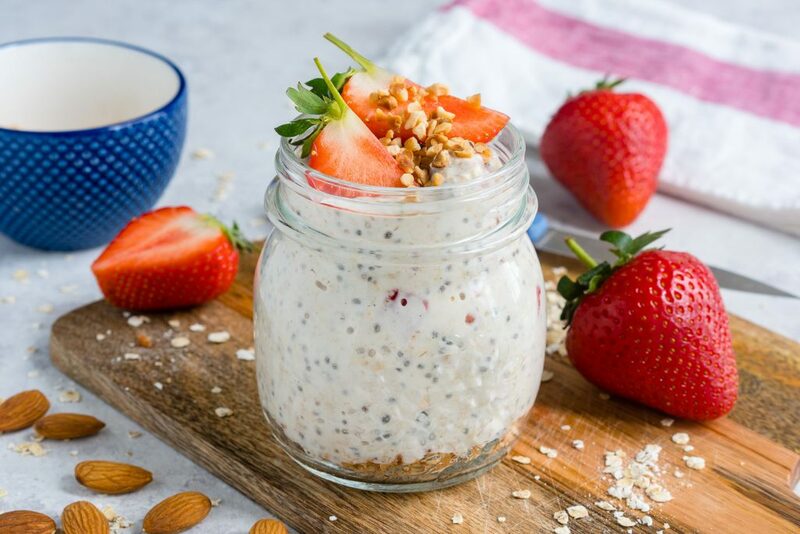 Strawberry Cheesecake Overnight Oats are super creamy and delicious and you can even have them for breakfast! 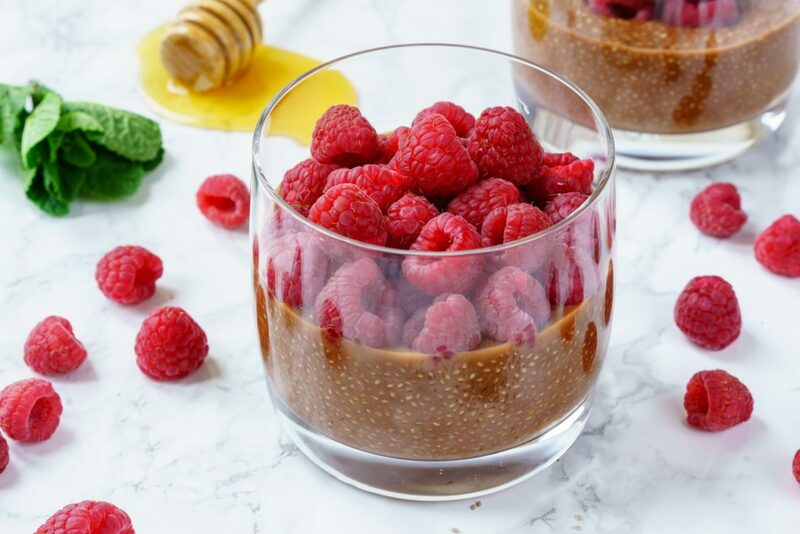 You can also check out this recipe I created for Raspberry Almond Butter Ice Cream, or this Peanut Butter Cup Protein Ice Cream! Pizza or Hamburgers: With pizza’s savory mix of fat, sodium and carbs, it’s no mystery why it’s so universally loved. And the same goes for hamburgers. If you’re having strong cravings for foods like these, your body may be in serious need of more fat. And not just any fat, but the kind of healthy fats it needs from nuts, seeds, avocados, coconut, olives, healthy oils, organic meats and bone broth. These good fats actually help you burn fat and maintain a healthy weight. But if you’re getting plenty of good fats and still just want pizza or a burger sometimes, there are so many better-for-you versions of these foods now that you never need to feel deprived! 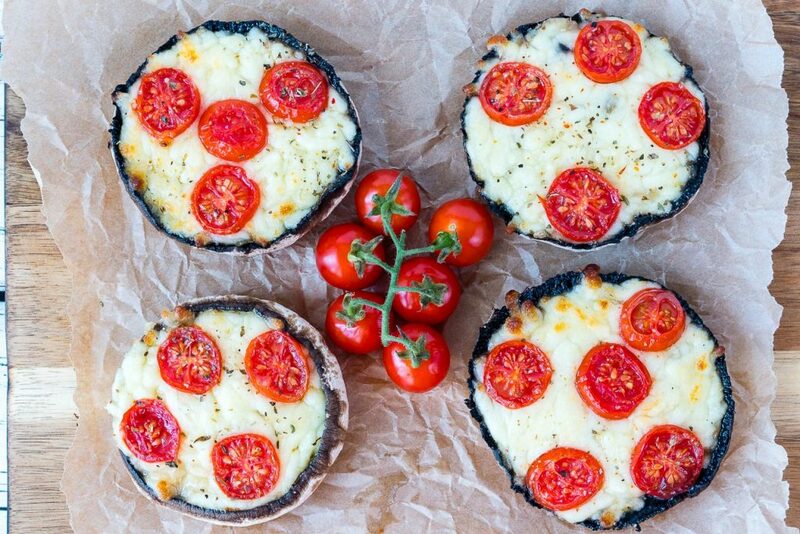 Try these 10 Minute Portobello Pizzas for dinner tonight, they are an AMAZING alternative to traditional pizza and they’re super family friendly!